This time in PT News we recap what our clinics have been posting throughout October, 2018. Featuring published articles from PTandMe partnering clinics! Written by Rebound Physical Therapy with 10 physical therapy locations throughout Bend, OR and the surrounding communities. Written by the Therapy Team at The Jackson Clinics with 18 physical therapy locations throughout Northern VA and soon branching into Maryland. Written by the Therapy Team at Cornerstone Physical Therapy with 5 physical therapy locations in Ohio. Every 23 minutes, a woman is diagnosed with ovarian cancer, which is the number one cause of gynecologic cancer deaths. September is Ovarian Cancer Awareness Month and in honor of that, here is some information on what exactly ovarian cancer is and how adding physical therapy into a treatment plan can be beneficial. Ovarian Cancer is a disease where different types of malignant tumors develop in the ovaries and eventually can spread to the pelvis and abdomen in later stages. Early on, it is easier to treat and the treatments are more successful. Unfortunately, the disease is most often caught in the later stages when its harder to treat because this is when the symptoms first start to present themselves. Other lesser health problems share many early symptoms of ovarian cancer such as fatigue, changes in menstruation, and bloating, which leads to ovarian cancer often being misdiagnosed as more common health issues. Because physical therapy may not be the first route of healthcare cancer patients think of, most people are unaware of how helpful it can be to add it into a cancer patients exercise regimen. There is recent research on how adding physical therapy into a patient’s treatment plan can improve daily function, quality of life and health. Not only can it be helpful during treatment, but also during recovery. Because of the ever-increasing survival rate of cancer, more recovery strategies, like physical therapy, are being studied. If you are interested in adding physical therapy to your treatment plan, talk to your doctor to refer you to a physical therapist who specializes in working with oncology patients. Congratulations! You have just brought home a new bundle of joy. Now it is time for feeding every two hours, diapers, little sleep, and a flurry of casseroles and visitors. It is so easy for mom to forget to take care of herself. Research shows that there are a number of processes that occur in the body after giving birth that make it important to focus on maternal nutrition, exercise, mental health, and physical recovery (Walker & Grobe, 1999; Wilcox et al., 2018). For example, gestational weight gain is normal but can present a challenge when the weight is hard to lose after delivery. That extra weight can be stressful to the mom and can actually lead to additional mental and physical health issues in the future (Cuco, et al, 2006). Pelvic pain is another stressful side effect of giving birth. Understanding your postpartum pelvic pain is extremely important to your recovery as a new mom. This type of pain is very normal to experience as your pelvic bones expand and loosen while preparing your body to give birth. In turn, this expansion will make your ligaments much looser, especially after birth. More than a third of women end up with pelvic floor disorders which can lead to other serious issues that should be checked out by your doctor. Following a physician-approved exercise plan and making necessary lifestyle changes can have a beneficial effect on both the mom and the baby as energy increases, moods stabilize, and physical activity becomes less taxing. In addition, a diet that targets low sugar and beneficial fats can reduce inflammation and improve both the recovery from childbirth and the nutritional value of breast milk (Raffelock, 2003). While a woman is pregnant, there are specific changes in hormones that allow for the development of the baby’s skeleton and structures. As many moms-to-be can tell you, there are often visible changes in her hair, nails, and teeth that suggest a shift of her chemistry to help the baby form correctly (Gonzalez-Jaranay, et al., 2017). In fact, there are pretty specific changes in the bone density and the balance between bone degradation and bone repair (Gulson, Taylor, Eismen, 2016). 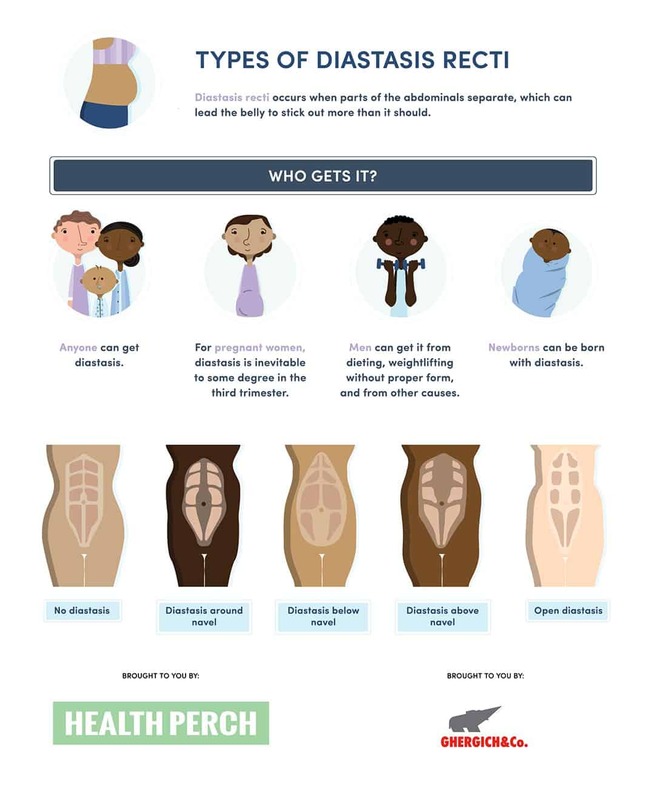 While many of these processes reverse naturally after childbirth, some women (5-37% of all new moms) continue to experience poor posture, low back pain, and general muscle weakness (Bivia-Roig, 2018; Ferreria & Alburquerque-Sendin, 2013). Physical therapists can assess the problem and then create goals that focus specifically on the activities of a new mother. Cuco G, Fernandez-Ballart J, Sala J, Viladrick C, Iranzo R. Dietary patterns and associated lifestyles in preconception, pregnancy and postpartum. European Journal of Clinical Nutrition 2006;60(3):364-71. Rafflelock D. Pregnancy and postpartum nutrition. Total Health2003;25(3):3. Walker LO, Grobe S. The construct of thriving in pregnancy and postpartum. Nurs Science Quart. 1999;12(2): 151-157. Wanderley C, Ferreria S, Alburquerque-Sendin F. Effectiveness of physical therapy for pregnancy-related low back and/or pelvic pain after delivery: A systematic review. Physiotherapy Theory and Practice. 2013;29(6):419-431. Wilcox S, Jihong Liu C, Turner-McGrievy A, Burgis J, Wingard E, Dahl A, Whitaker M, Schneider L, Boutte A. A randomized controlled trial to prevent excessive gestational weight gain and promote postpartum weight loss in overweight and obese women: Health in pregnancy and postpartum (HIPP). Contemporary Clinical Trials 2018;66:51-63. Tightness, swelling or thickening anywhere in the extremity. Initially the swelling may fluctuate but over timeit worsens. A burning sensation or tingling sensation radiating down the extremity. Complaints of heaviness or aching of the extremity. Inability to wear rings, jewelry, watches or clothing secondary to edema. Lymphedema disappears with bed rest and/or elevation especially over night. Edema is soft and pitting, no resistance is felt. Indentations are easily made. No or little fibrosis. No alteration of tissues. Protein enriched edema which does not decrease with elevation/nights rest. Connective and scar tissue formation (i.e. fibrosis). Fibrosclerotic changes. Non pitting edema, strong pressure is able to produce pitting. Edema becomes hard. Indentions are difficult to make. Maintain a well balanced diet, with low sodium intake. Keep a healthy weight, avoid obesity. Good nutritional guidelines are provided by the American Heart Association and the American Cancer Society. Keep the affected arm or leg, clean, and well moisturized. Lotion should be at a relatively low pH balance. The goal is to prevent skin breakdown. Use antibacterial and hypo-allergenic soap when washing. Avoid injections, vaccinations, flu shots, blood draws and IV lines in the affected extremity. Remember, if this is an emergency, it is more important to treat the patient than to worry about putting an IV in the affected arm. If at all possible, avoid having blood pressure taken in the affected arm. Many people enjoy having a manicure. There is always a risk with this but you can decrease your risk by keeping your cuticles moist with lotion and push them back instead of cutting them. You could also consider buying your own manicure set and have the salon use only your tools. When cleaning the house, wear a good quality rubber glove when handling harsh chemicals such as ammonia, bleach, furniture polish, abrasive cleansers etc. Avoid using a razor or depilatory creams for the armpit or leg hair. The safest tool would be an electric razor. When cooking, wear long protective mitts (to the elbow) when taking food out of the oven and when boiling a pot of hot water. It is important to avoid pet scratches, insect bites, spider bites etc. Using an insect repellent may be necessary but remember some brands are very harsh. Look for a natural insect repellent if possible. Avoid sunburn at all cost! Especially if you have received radiation therapy. Be aware of items that can cause a burn such as a curling iron, an iron, space heaters etc. Avoid saunas, hot tubs, and hot showers. Avoid extreme temperatures, very cold or very hot. Avoid lifting or moving heavy objects. Avoid tight fitting clothing or jewelry. Exercise, and be knowledgeable of how exercise effects the lymphedema. Check your skin daily, and call your physician immediately if you notice any adverse changes in your lymphedematous body part or if you have fever and redness. Proper shoe wear is essential in avoiding blisters and ingrown toenails, avoid high-heeled shoes. Do not walk bare foot, especially outside. Get all fungal infections treated immediately. Do not receive injections to remove varicose veins in the affected leg. This information is for educational purposes only. This information should not be used without consultation with your healthcare professional. If you have questions regarding the material or its application, seek professional assistance from your provider. This information is not intended to diagnose any medical condition or to replace healthcare professional consultation. October is Breast Cancer Awareness Month. There were 1.7 million new cases of breast cancer diagnosed in 2012 worldwide. In honor of Breast Cancer Awareness Month, we are providing this helpful information, facts and statistics about breast cancer. Breast cancer occurs when cells in the breast divide and grow without their normal control. Tumors in the breast tend to grow slowly. By the time a lump is large enough to feel, it may have been growing for as long as 10 years. (Some tumors are aggressive and grow much faster.) Between 50-75 percent of breast cancers begin in the milk ducts, about 10-15 percent begin in the lobules and a few begin in other breast tissues . Learn more about breast anatomy. Ductal carcinoma in situ (DCIS) occurs when abnormal cells grow inside the milk ducts, but have not spread to nearby tissue or beyond. The term “in situ” means “in place.” With DCIS, the abnormal cells are still inside the ducts. DCIS is a non-invasive breast cancer. You may also hear the terms “pre-invasive” or “pre-cancerous” to describe DCIS. Although DCIS is non-invasive, without treatment, it can develop into invasive breast cancer. Learn more about DCIS and the risk of invasive breast cancer. Learn about treatment for DCIS. There are more than 3.1 million breast cancer survivors in the U.S. today. Thanks in part to Susan G. Komen’s investment in research in early detection and treatment, breast cancer mortality (death) in women in the U.S. declined by 38 percent from 1989-2014 . Content provided by Susan G. Komen. For more information visit the Susan G. Komen website by clicking here. Proper lifting mechanics is important for everyone, especially for a new mom. Caring for a young child/infant significantly increases the strain to one’s low back. Luckily, there are steps that one can make to decrease that strain and reduce the risk of injury. Always remember to: lift the child/infant close to you and bend through your legs versus your back. As your baby begins to gain more independence and mobility, lower the height of his mattress to keep him safe. Be aware that the lower mattress height can increase strain on your back, so lower the mattress height as gradually as possible. When lifting your baby in or out of the crib, keep baby as close to your body as possible while keeping your back straight and bending through your legs. For older babies, help him get into a sitting position before lifting him out of the crib. Once baby can stand, lift him out of the crib from a standing position. Just like lifting baby out of the crib, keep her as close to you as possible, bend through your legs and keep your back straight. Keep your abdominal muscles tight as you lift her up. If possible, get into a deep squat position to lower your center of gravity before picking up baby. Avoid the “hip shift” position with baby propped on one hip while shifting your body to that side. Instead hold baby in front of you with his legs out on either side of you. If you are going to be holding baby for an extended period of time, use a baby carrier to keep your baby supported in a neutral alignment. Tummy time isn’t just good for babies! During tummy time, get down on your stomach too. Stretching out on your stomach is good for you, and it also allows you to better interact with your baby. During story time, be aware of your posture and always sit up straight. Place a pillow behind your back for extra support. Use a nursing pillow under baby to help prop her up closer to you. Bring baby to you instead of leaning forward towards her to avoid strain. Placing a pillow behind your back can provide extra support and help you maintain the proper posture. If you are bottle feeding or for older babies, place a pillow under the arm that is supporting baby’s head to decrease the strain on your shoulder and neck. Although making eye contact with baby during a feeding can help strengthen your relationship with baby, it can cause strain on your neck. Be sure to bring your head to a neutral position throughout the feeding to decrease the tension on your neck. When lifting a car seat, be sure to keep the car seat as close to your body as possible. Bend through your legs and keep your abdominal muscles tight as you pick up the car seat. Instead of carrying the car seat in one hand at your side, use both hands to hold and carry the car seat in front of you whenever possible. Getting the car seat in and out of the car can be tricky. Remember to keep the car seat as close to your body as possible, keep your abdominal muscles tight and your back straight. If your car seat is placed in the middle position in your car, put one leg up into the car to protect your back while keeping the car seat close to your body. This information was written by Metro Spine & Sports Rehabilitation, an outpatient physical therapy group with locations in the Chicago Loop and Lakeview areas. At Metro Spine & Sports Rehabilitation, their number one priority is the patient. For more information click here.